'White 14' being returned to the hangar on the hydraulic Scheuchschlepper after the flight. The camouflage scheme can be seen in great detail in this picture. Also note again the pitot tube attachment reinforcement. 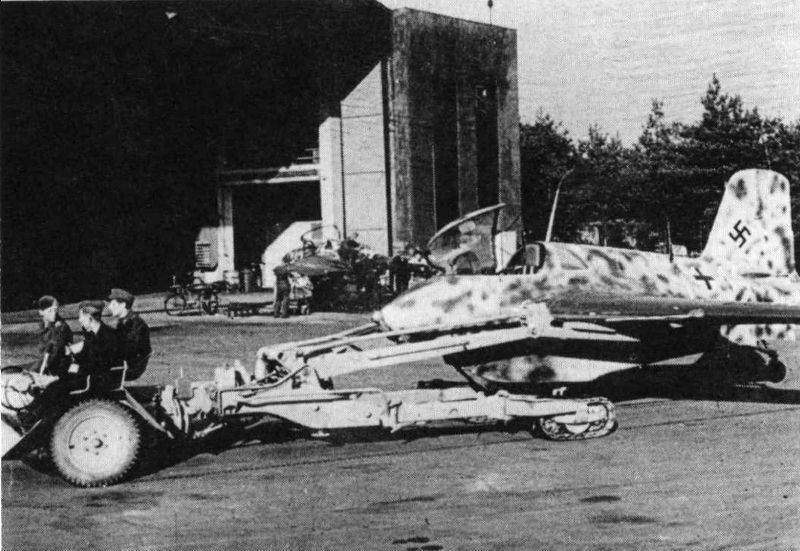 In the background a Komet can be seen with its rear fuselage detached.